I wanted to say that getting an response back sometimes in 20 minutes was outstanding. The fact that you sent pictures for me to choose the one i wanted was the best. I feel as if I was there! Only thing that I could dig ya on is I don't know how long the free class is for from the website (or I was blind as a bat). With the link that this email came with I saw its only for 30days now. I'll have to do some running to get caught up to see all the videos. But no problem. I can buy the class if need be. 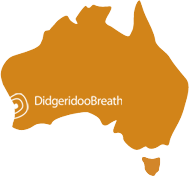 Thanks for sending my didgeridoo so promptly. It was extremely well packaged and protected and arrived in perfect order. It sounds wonderful, with a great tone. I am putting it through an amp and experimenting with some looping as well. I have had also received the DVD which has helped me immensely I have also received e mail replies from Sanshi just to guide me through a few matters. Once I master this didg I will be looking to purchasing my second, a larger one, perhaps painted. I found this website through Google Search and realised after purchase that the store is 30 minutes drive down the coast from where I live! 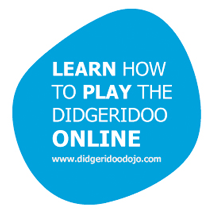 The website is very shopper-friendly and easy to navigate, I especially like the "Beginners Didgeridoo Pack" which I purchased for my brother-in-law in the USA for Christmas. The service was exceptional. I received emails and a couple of phone calls to inform and update me on the status of my order, which was out of stock at the time. I received an explanation for the slight delay and the estimated time of dispatch. Despite the minor delay in getting to Fremantle from "up north", the parcel arrived in the USA about 5 days of being sent from the store. My brother-in-law is VERY happy with the Didgeridoo and the dvd. I have also ordered one for my husband. I would happily recommend this website and shop in an instant!